At Queen Anne Orthodontics, our priority is YOU! We provide exceptional orthodontic treatment while focusing on patient convenience. 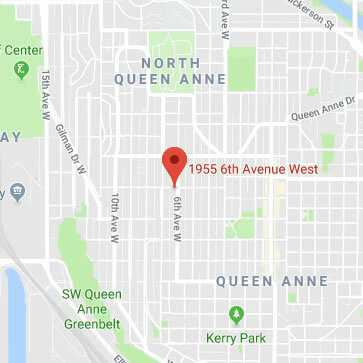 Located in Seattle, Washington, Dr. Zeeny Teja has been an orthodontist to the Seattle downtown, Queen Anne, Ballard, Magnolia, Fremont, and Green Lake communities for more than 20 years. Dr. Teja and her staff take pride in going above and beyond to accommodate and care for patients of all ages. We also pride ourselves in providing personalized orthodontic treatment with a low doctor to patient ratio, flexible financial options, and convenient hours. We offer a variety of orthodontic choices to help you achieve a beautiful and healthy smile, including metal braces, ceramic braces, and Invisalign® clear aligners. We believe that the attention to detail, especially in the final phase of treatment, results in a beautiful smile that looks wonderful and is functional for a lifetime. Contact our Seattle orthodontic practice today and discover why we love what we do! I love orthodontics, but what truly excites me is seeing the change that I can make to a patient’s overall self-esteem by transforming their smile into something beautiful that they are proud to show to those around them.